Would you like to get 5% discount code? A code you could apply to all brands and products, a code you could use with other sales and discounts, a code that does not require any minimal order value? Starting today in every newsletter you will find individual code. It will give you 5% discount no matter what! 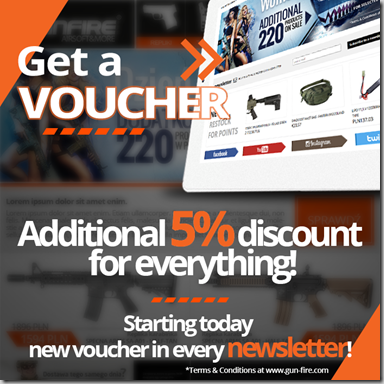 Voucher will be active for 3 days but don’t worry – you will receive it twice a week!